See perfect skin in a snapthis all-in-one palette has everything you need to ace your base. 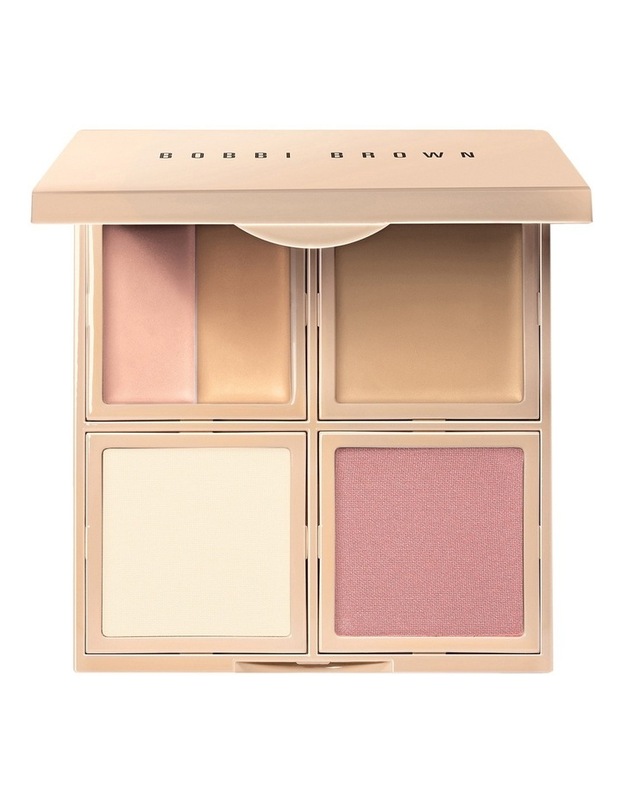 Great for travel and touch-ups, this coordinated five-in-one face palette contains all the products you need to perfect skin: Corrector to brighten and neutralize under eye discoloration; Creamy Concealer to lighten and even out under eye skin tone; Skin Foundation Stick for a seamless, natural skin-like finish; and Sheer Finish Pressed Powder to set makeup for all-day wear. Plus, there's Bronzing Powder for a touch of flattering warmth. Start with Corrector to brighten and neutralize under eye discoloration, beginning at inner corner of eyes where skin tends to be darkest. Layer on Creamy Concealer, gently patting to blend. Apply Skin Foundation Stick all over the face, or just where needed. Set makeup with a light dusting of Sheer Finish Pressed Powder; then sweep Bronzer on the high points of the facecheekbones, forehead, nose and chin.